The strength, translucency and limitless color shading of porcelain make it an ideal restorative material and the material of choice at Vero Beach Art of Dentistry for bonding to the surfaces of teeth. Porcelain veneers are a strong and beautiful restorative and cosmetic treatment. Their success can be traced back to NASA and the space shuttle program in the 1970s. When NASA had difficulty with missing tiles on re-entry, they developed a mechanical-chemical bonding method for bonding porcelain tiles directly to the undercarriage. 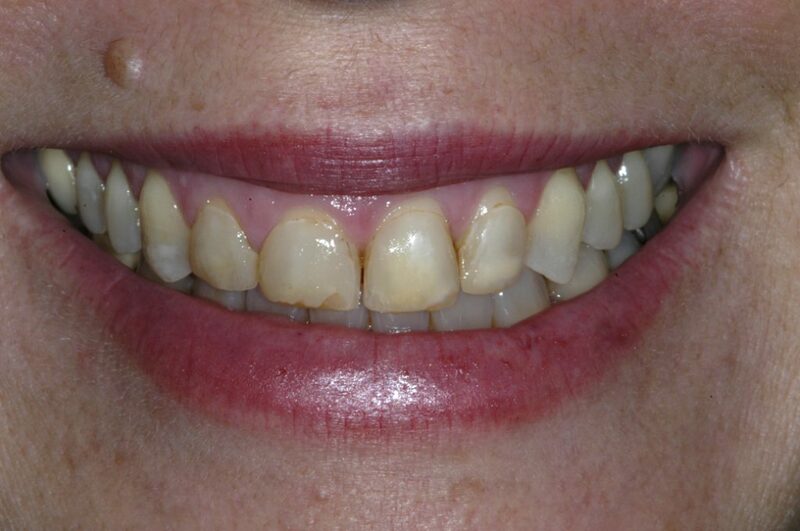 This bonding method was then adapted and perfected for bonding porcelain veneers directly to the surface of teeth. The bonded restorations are amazingly strong, as strong as natural tooth structure, and they will not stain. When porcelain veneers are bonded to the front of teeth by an expert who has designed them for function, as well as esthetics, your veneers will last a very long time. With optimal oral hygiene and regular dental visits, they could last the rest of your life. Dr. Johnson Hagood has specialized training in functional esthetics and advanced porcelain veneer bonding technology that has allowed him to successfully place thousands of low-prep and no-prep micro-thin veneers since 1990. Porcelain veneers can be used to cover chips, cracks, and discoloration; increase the length or width of teeth for esthetic uniformity; replace worn enamel; close slight gaps; and even fix mildly crooked teeth. Porcelain veneers can be a thin as a finger nail, allowing for minimal tooth preparation. The preparation of a tooth is so minimal, that you might not need a local anesthetic. Dr. Hagood will determine your need and make sure you are always comfortable. Porcelain has the translucence and reflectivity of natural tooth enamel and comes in an extensive range of shades. Dr. Hagood have expertise in the art of color matching shading, and teaches other dentists in the art of working with porcelain restorations. Note: Porcelain is not limited to thin veneers. In fact, Dr. Hagood can expertly use porcelain for tooth-colored inlays and onlays bonded to molars, instead of composite fillings, for greater strength and natural esthetics. Porcelain inlays and onlays to restore molars are especially desirable when a filling needs to be large. All-ceramic crowns of porcelain are also often used in “the smile zone,” because they are as reflective and translucent as pristine tooth enamel and eliminate the potential of a dark marginal line, which is characteristic of many traditional porcelain-fused to metal crowns. 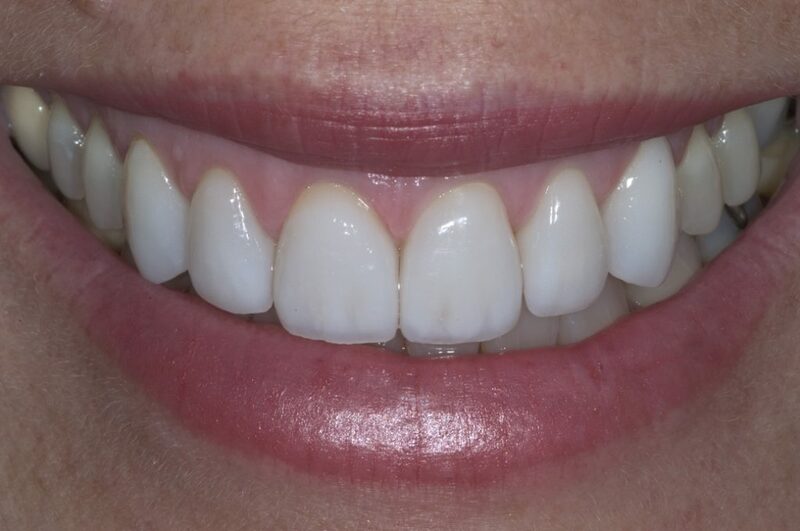 In the following case, you will see that the veneers used to increase tooth length, restore worn incisal edges, and provide a more vibrant, lighter hue are identical in appearance to healthy, young adult teeth. Dr. Hagood designed the restorations to function harmoniously with the patient’s bite. Due to their form and strength, these veneers will provide a lasting restoration.